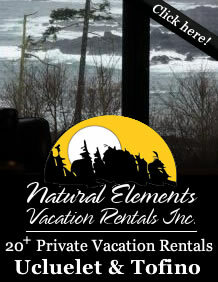 Offering travelers to Tofino and Ucluelet visiting the west coast of Vancouver Islands Pacific Rim a user friendly guide to accommodation providers, tours, activities, restaurants and much more! Both locations have a variety of tourist attractions that attract over 1 million travelers to the West Coast of Vancouver Island annually. Whether it's adrenaline your after or peace and tranquility there's something for everyone! Tofino and Ucluelet are separated by the Pacific Rim National Park these destinations are approximately 30 minutes from one another by car and located on the same coastline! The majority of the pristine beaches are shared by both locations as they are with in the national park lands. Tofino and Ucluelet each have their own vibe and when making the choice between either of these locations it comes to personal preference. Which ever destination you choose to call home base for the holidays it's definitely worth taking the short drive to the other community as they each offer something special! Tofino and Ucluelet have become popular travel destinations year round, winter months offer fantastic storm watching, spring months the whales return and the season is kicked off with the Pacific Rim Whale festival. Summer months are currently the busiest months the beaches are not crowded but they are busy, the local markets are lively, the fishing is superb and the sun is shinning, fall months the bears are crowded along the creeks and rivers feeding the returning spawning salmon. The Pacific Rim of Vancouver Island is a magical place and many call it a true energy point! Why the tofino-ucluelet.com travelers Guide was developed! We at tofino-ucluelet.com love the Pacific Rim as a whole, when visiting annually we found both Tofino and Ucluelet BC have fantastic tourist attractions that needed to be available on one guide. Ucluelet is pronounced U-clue-let just for those who aren't sure quite how to say it, Tofino sounds exactly how it looks. Both communities are only approx 30 min apart by vehicle, the majority of the trails and beaches are set between Tofino and Ucluelet within the Pacific Rim National Park. Tofino has been a hot spot for tourists for many years and once you visit Tofino BC you will see why, it's absolutely gorgeous! Ucluelet has been a little behind the scene as in the earlier years as a tourist town and didn't push it self as a travel destination. 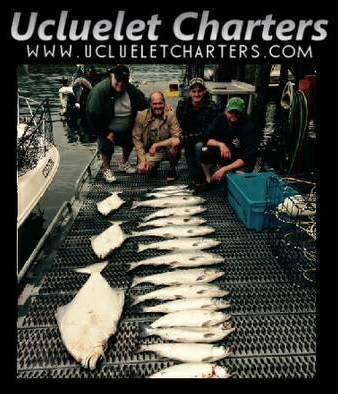 Due to several new resorts, an aquarium and fine dining establishments going in Ucluelet has become a very desirable tourist destination. With both destinations offering so much and being so close this guide has been created to enhance your trip or help plan your next west coast holiday, this guide will provide all the resources you will need. Tofino and Ucluelet continue to create new trails and attractions, tours, accommodations also continue to grow as well. We hope you enjoy your experience on tofino-ucluelet.com and are open to any suggestions you may have or want to contribute to this guide for other travelers to take advantage of. Happy Travels! What to expect in Tofino, BC. 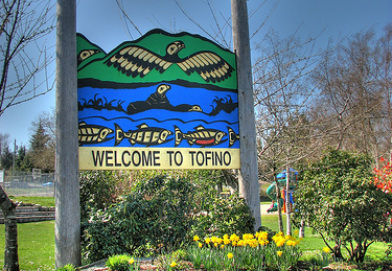 Tofino is a vibrant tourism hot spot and has been so for many years, the town during the Spring and Summer months is full of tourists from all over the globe! Tofino has many beachfront accommodations from camping to high end luxury, there are plenty of galleries, restaurants and surf shops. Tofino is a busy destination with lots of outdoor activities to do. If your looking for a hopping little tourist town with lots of action Tofino has just that! Once you set foot and experience the west coast life it's a guarantee before the end of your first trip you will be planning the next! Come experience Tofino and all it has to offer! What to expect in Ucluelet, BC. 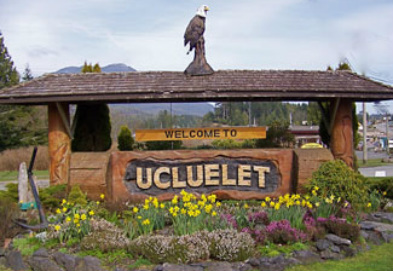 Ucluelet has become a fantastic tourist destination, Ucluelet didn't promote tourism like Tofino as a travel destination because this community sustained itself on logging and commercial fishing so it didn't have to count on tourism as a revenue generator. Since the decline of logging and commercial fishing tourism has been on the forefront with the making of many first class walking trails, several fine dining restaurants, surf shops and some top notch Ucluelet accommodations subsequently Ucluelet has put itself on the top spots to visit! Ucluelet is not yet as busy as Tofino and has much to offer any traveler looking to visit the Pacific Rim! Select each category to view resources!